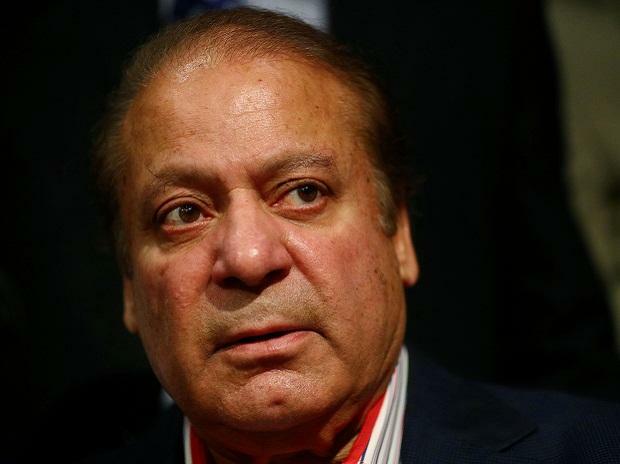 An anti-corruption court in Pakistan on Monday sentenced ousted prime minister Nawaz Sharif to seven years in jail in the Al-Azizia Steel Mills graft case while acquitting him in the Flagship Investments corruption case in the high-profile Panama Papers scandal. Accountability Court II Judge Muhammad Arshad Malik announced the verdict in the two remaining corruption cases against the Sharif family, after reserving the decision last week. In its decision, Judge Malik said there was concrete evidence against the 68-year-old former premier in the Al-Azizia reference, and that he was unable to provide a money trail in the case, Geo TV reported. Sharif was present in the court when the verdict was announced. Three cases -- Avenfield properties case, Flagship Investment case and Al-Azizia steel mills case -- were launched by the National Accountability Bureau on September 8, 2017, following a judgment by the apex court that disqualified Sharif. Sharif was disqualified by the Supreme Court in the Panama Papers case in July 2017. In July 2018, Sharif, his daughter Maryam and his son-in-law retired captain Mohammad Safdar were sentenced to 11 years, eight years and one year, respectively, in prison in the Avenfield properties case related to their purchase of four luxury flats in London through corrupt practices. However, the three were bailed out by the Islamabad High Court in September.